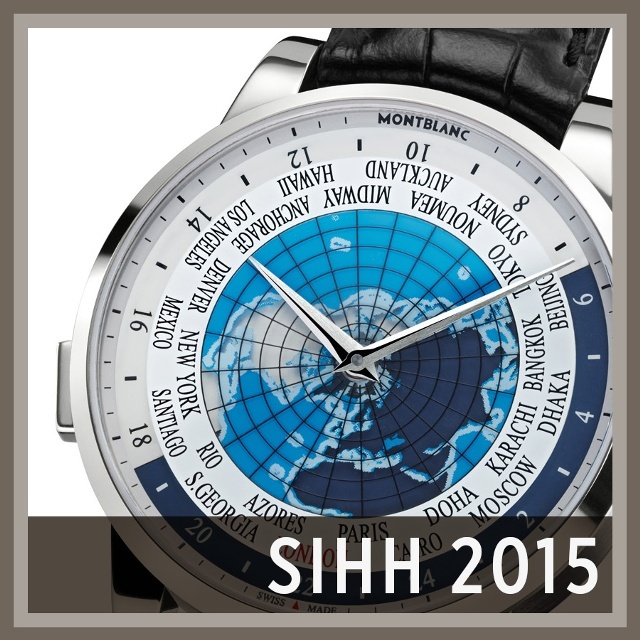 During the last month, many of the watch companies at SIHH have offered a preview of a few of their 2015 debuts, offered as a sort of teaser to the main event. For many brands these early-issue debuts will be in the spotlight all year. We invite you to take a look at these 2015 debuts and prepare for additional models being unveiled as the event kicks off. With its multi-layer dial construction, this new world timer displays the times of all 24 timezones while also indicating whether it is day or night in each. All this functionality is retained within a 41mm diameter steel or red gold case that measures only a moderate 12mm high. The watch offers the same arc-shaped lugs, polished and matte finishing, dauphine hands and narrow convex bezel Montblanc plans to maintain for all its much-discussed Heritage Spirit models. 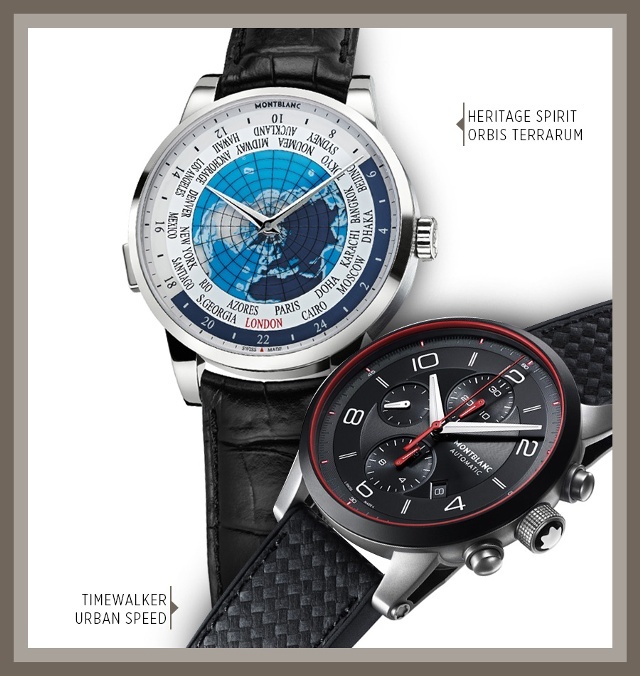 This new 43mm model radiates the firm’s already popular Timewalker characteristics, but adds an extra layer of accent. Boasting red-colored chronograph hands, red-outlined five-minute markers and a red-edged bezel, the new, sportier edition offers new materials like ceramic (on the bezel) and the latest composite strap that features cowhide and Montblanc’s specially treated and textured materials.